It might seem like a good budget move to buy your pet the cheapest possible bulk food on the market, but this might not be a great idea. You don’t necessarily need to go with the most expensive option out there just because it’s the most expensive, but you do need to feed your dog high-quality food. Ask your vet for recommendations on the best pet food and on special needs your pet might have. For instance, paying a little more for puppy food or senior adult food for dogs of a certain age might actually help keep your dog healthier, which can mean healthcare costs less in the long run. This isn’t really a budget tip; it’s more of a budgeting your time tip. Make time to ensure that your dog regularly gets exercise, and he’ll have fewer health problems down the road. Just like with people, pets that are overweight or under-exercised will be more prone to all sorts of health problems – many of which can be expensive. It might be cheaper to hire a dog walker when you’re super busy than it is to pay for these expensive conditions down the road! If we’ve learned anything from our currently high healthcare costs, we’ve learned that comparison shopping can help us save on human healthcare. However, comparison shopping can also save you on veterinary care. Check out several vets in your area to get quotes on basic services before you take your pet to any one vet, assuming that all pricing will be the same. lterMost local animal shelters these days have websites where they list information for their own low-cost clinics or nearby clinics that offer lower-cost services. Often times, you can get low-cost vaccinations and spay and neuter services. They’re performed by certified veterinarians, but these non-profit organizations seek to keep costs as low as possible, and they often succeed in offering the best prices around town. If you’re concerned about the quality of care at these clinics, talk to others who have used them. You’re likely to find that low-cost clinics offer the same quality of pet care you’ll get elsewhere. Figure out what your dog’s basic care is going to cost over the course of a year, and then save up for it or check out plans through nationwide veterinary services like Banfield Pet Hospital, which is associated with PetsMart. Monthly plans that you pay into or self-made plans where you just save up a little each month for your pet’s basic care can help you prepare for the costs of annual immunizations as well as six-month checkups and tests that can help catch problems early on so keeping your pet healthy is cheaper. Pet insurance is actually surprisingly affordable, and it can seriously offset the costs of an accident or emergency surgery. Many pets have to be rushed to the vet hospital for a serious problem at some point in their lives, and visits like these can cost hundreds or thousands of others. 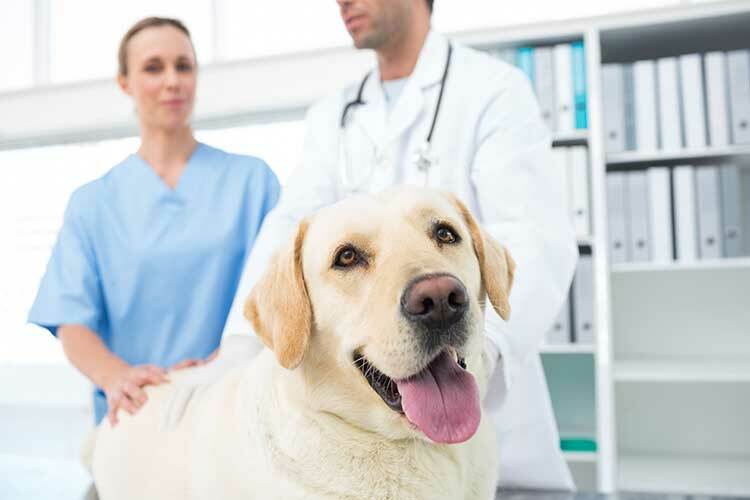 Look at different pet health insurance plans, and opt for a high-deductible plan that could save you from paying more than a couple hundred dollars out of pocket if your pet needs surgery or emergency care. It’s a good idea to have some form of emergency fund in place for your pet. If you have insurance, then you need to have at least your deductible saved up. If not, then you should plan to save a couple thousand dollars for emergency dog care. If you can’t save up the money right away, Ashyia Hill from CreditDonkey says, consider applying for an emergency credit card that you’ll set aside just for this purpose. That way, you’ll have a way to pay without maxing out your other credit cards if you need to pay big for dog healthcare costs. 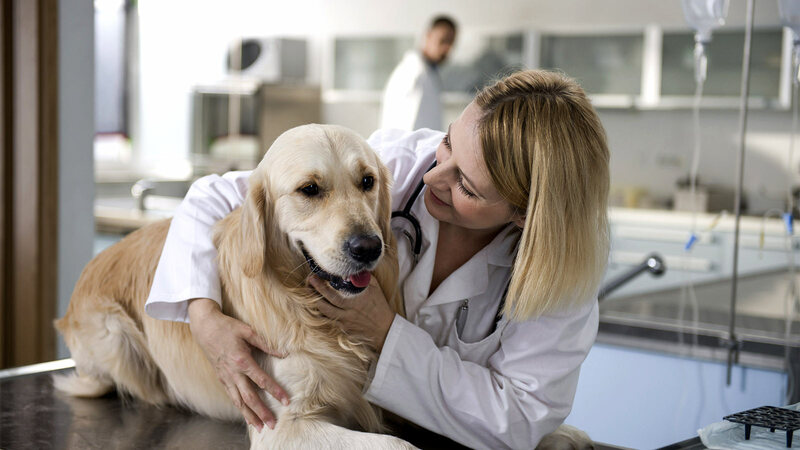 These seven tips when used regularly can help you save big on your dog’s healthcare costs. The biggest thing is to make sure you can afford to keep your pet healthy and happy for the entire length of his life.